Solar has come a long way since its first introduction to the mass market. Now it is more affordable than ever as new and innovative financing options emerge for homeowners. When solar was first introduced to the U.S. market, it was seen as expensive and elite; and with good reason. As with any new technology, the cost of manufacturing and installing entirely new products was very high because there were few manufacturers, distributors and installation professionals. Thankfully, competition has changed the marketplace, making solar an accessible option for millions of homeowners and business owners. It's also a great investment in many California homes as it has been proven to lower utility bills and increase property values. It isn't just the solar-related products that have improved over time. Since solar gained popularity and the demand has grown, public and private partnerships (like CaliforniaFIRST) have emerged to support the communities' needs. Renewable Funding, the program administrator of CaliforniaFIRST, pioneered the concept of Property Assessed Clean Energy (PACE), an innovative program that provides upfront financing for energy efficiency, renewable energy and water efficiency improvements for your home or businessегand repayment plans through your property tax bill over the course of up to 25 years. Municipalities are well aware of the benefits the rapidly growing solar industry provides in their jurisdictions. Installing solar has become a way of not only relieving the financial burden of high energy bills, but also of supporting the community with quality jobs and reducing the impact each home has on the environment. And thanks to programs like CaliforniaFIRST, financing solar has never been easier. There are still, however, a lot of misunderstandings about solar and the financing programs that make them affordable for homeowners. It is our goal to make solar technology financially accessible and easy to install. Before PACE, solar was seen as unaffordable and often a luxury. But with low-interest programs like CaliforniaFIRST where the assessment is levied on the property, solar is more viable than ever for millions of Californians. The benefits are well worth the expense, and with CaliforniaFIRST, a property owner can design an efficiency project and choose a repayment plan that could extend up to 25 years at competitive rates. Savings on utility costs is the primary long-term benefit for most families. Saving as much as 10-15% may seem small, but over time this can mean substantial accumulated savings. Solar PV panels are easy to maintain and hard to damage since they have no moving parts. They are incredibly durable and often last 25-30 years with minimal maintenance needs. In a recent study from the National Renewable Energy Laboratory, each additional $1 in energy bill savings (from your solar installation) adds $20 to your home's total value. This varies depending on a number of factors, including the location of your home, the size of your installation, and the current value of your home. As electricity prices go up, the advantages of solar energy rise proportionally (along with the property value of your home). In addition, installing solar panels can help you fetch a higher asking price and can help your home sell faster than properties without solar installations. In a state with some of the highest electricity rates in the country, buyers are looking for homes with cost-saving solar panels. Solar energy isn't just good for homeowners, it's also good for California communities. Using sustainable solar power decreases reliance on fossil fuels as energy sources. With the recent boom in solar opportunities for homeowners, the businesses that provide the materials, services, and installations are also growing and creating high-paying jobs across the state. Many municipalities have set ambitious climate action goals and solar and home energy efficiency projects play a crucial role in reaching those goals There are many more ways solar energy benefits our local economy, both directly and indirectly. By reducing your home's use of fossil fuel energy sources, you help ease your community's need for maintenance and repair on utility services, and you help keep the environment around your home cleaner and easier to maintain. 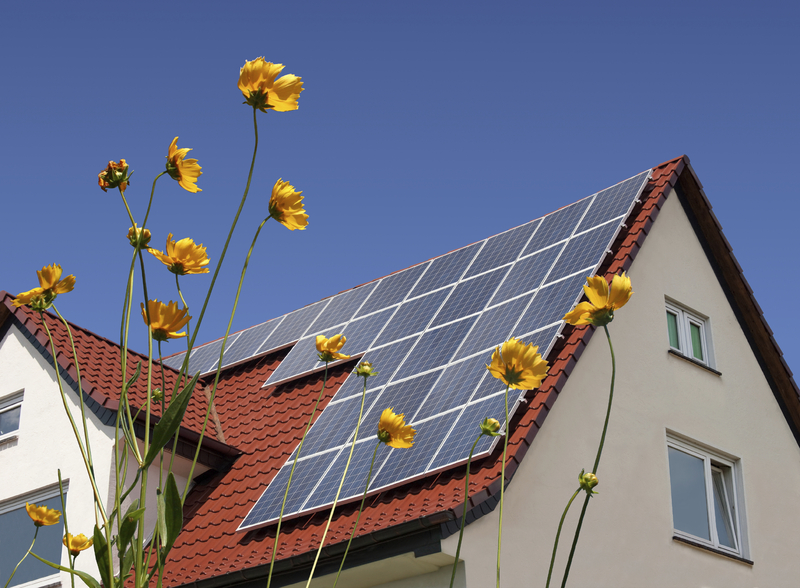 The benefits of solar technology for homeowners are not just financial. The investment you make is also a great investment in the future of our state, communities, and environment.